Lots of women read this blog for lots of different reasons. There are some who have learned in the hardest way possible that homebirth and “natural” childbirth advocates have no idea what they are talking about. There are true believers who post to demonstrate their (pseudo-)knowledge. There are women who came to the site prepared to “teach” me about homebirth and “natural” childbirth and instead found themselves learning information that changed everything. And, of course, there are loyal readers who are distressed by the spread of pseudoscientific nonsense and wish to discuss the scientific facts. 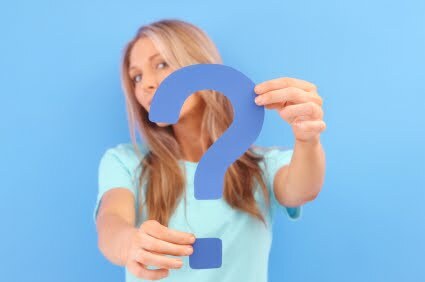 I have a question for all my readers, or rather a question with many variations, each directed toward a specific group. Is there anything that I could have told you beforehand that might have swayed you from your belief in homebirth and natural childbirth? What information could I supply to you to help you realize that the foundations of homebirth and natural childbirth advocacy are pseudoscience and that most of it is directly contradicted by copious existing scientific research? What made you realize that what you had been told by homebirth and natural childbirth advocates was not true? What do you think we should say, and what information should we offer, to open the eyes of homebirth and natural childbirth advocates who have no idea that most of what they believe is factually false? 1. The Midwives Alliance of North America (MANA) is hiding their own safety data. As the old adage goes, “it’s not the crime, but the cover up.” Paradoxically, what appears to be the most damning fact is not that homebirth has been shown, in every scientific study and existing state and national statistics, to triple the rate of neonatal death, but that MANA refuses to release their own statistics on the neonatal death rate of homebirth midwives. Even the most committed homebirth and natural childbirth advocates know that MANA would be shouting good results from the rooftops and that their strenuous efforts to withhold the neonatal death rates from the more than 18,000 certified midwife homebirth is a virtual admission that homebirth increases the neonatal death rate. 2. American homebirth midwives do not meet the licensing requirements for ANY first world country. The first surprise for committed homebirth and natural childbirth advocates is realizing that there are TWO types of midwife in the US. Homebirth midwives have done their utmost to confuse women on this point, changing their name from direct entry midwives (DEMs) to certified professional midwives (CPMs) so as to be nearly indistinguishable from certified nurse midwives (CNMs). The second surprise is learning that American homebirth midwives are considered undereducated and undertrained by all other first world countries and would be ineligible for licensure in the UK, the Netherlands, Canada and Australia. 3. Childbirth is and has always been, in every time, place and culture, one of the leading causes of death of young women, and the day of birth is the single most dangerous day in the entire 18 years of childhood. Homebirth and natural childbirth advocates think childbirth is inherently safe because the current rates of neonatal and maternal mortality are quite low. They don’t realize that this is product of modern obstetrics. They are often shocked to learn that in the past 100 years, modern obstetrics has lowered neonatal mortality by 90% and maternal mortality by 99%. Impressive as these figures are, however, the statistic that seems to have the most impact is one that most women know but did not consider: the natural miscarriage rate is 20%. Obviously, pregnancy is not inherently safe since such a large proportion of pregnancies end in the death of the embryo. Once that is acknowledged, it is hardly an intellectual leap to accept that childbirth in nature has very high rates of neonatal and maternal mortality. These are just my impressions, of course. That’s why I’m asking you my readers. What would make homebirth and natural childbirth advocates realize, once and for all, that most of what they think they “know” isn’t even true? ← What do terrorism and vaccination have in common? I know this post is super old but I’ve been reading through all your blogposts and enjoying the information. Your posts haven’t scared me away from homebirth/midwifery for a simple reason…I’m just not naturally the type of person to be risk averse. I 100% plan on a hospital birth with as many epidurals as they’ll give me, but only because I see no point in suffering for no reason. But the risk of home births, even if it’s 10x the risk of hospital births, is just something I shrug at. I rock climb without rope and harness, I ride my motorcycle without a helmet, I don’t worry about my diet. I know these things are unwise but I guess the part of me that is supposed to care, is just missing. what actually did change my mind was fear of losing my precious child.